How do you hold an iPad? How do you hold a Mini? How do you hold an Android? When we wanted a universal mount for any tablet, we decided to model it after the world's perfect holder: The Human Hand. 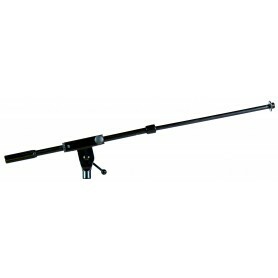 The Manos Mount will firmly grip any model up to 8.5 inches wide and up to 1.25 inches thick. It will even hold smartphones! Introducing the AirTurn Manos Mount. It has two arms that can hold anything from a smartphone to a 13 inch tablet, and a set of thumbs and fingers at the end of each arm that can grip tablets as wide as an tablet in an Otterbox or a Griffin Survivor. To mount a tablet or smartphone, squeeze the fingers of the bottom arm. 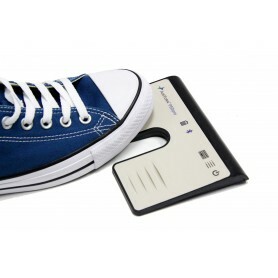 Insert your tablet or smartphone by its edge. Then open the Manos Mount's arms until you can squeeze the other arm's fingers around the opposite edge. 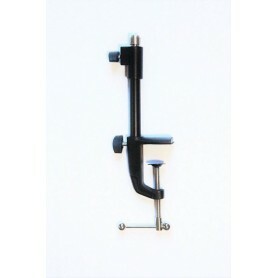 Secure the Manos Mounts grip by tigthening the side screws. The Manos Mount makes it easy to rotate your tablet or smartphone 360 degrees, with locking positions in portrait and landscape views. 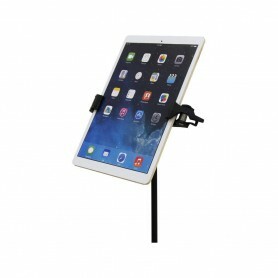 The Manos Mount also features a self-tightening hinge that keeps your tablet or smartphone easily locked at any angle. 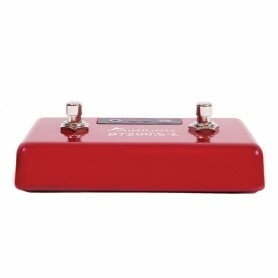 The Manos Mount fits onto any standard microphone stand or thread. 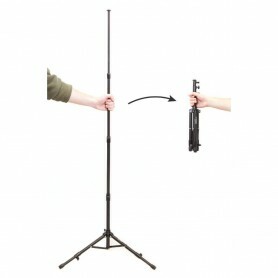 And the Manos Mount can be locked into a flat position, making it easy to carry with you. 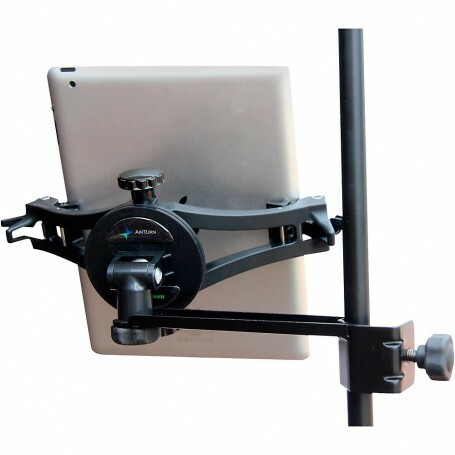 The AirTurn Manos Universal Tablet Mount. Modeled after the world's perfect holder: Your Hands.